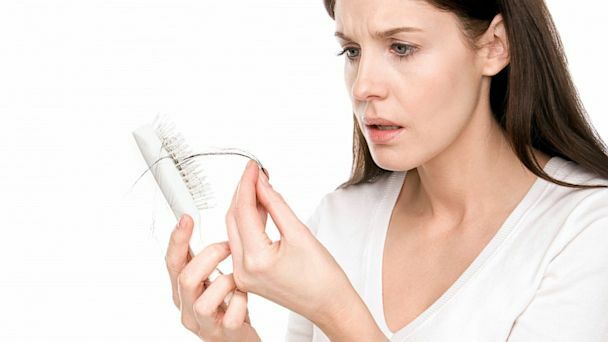 Hair Fall is one of the most common hair problem that can affect people of all ages including young men, women even teen age boys and girls may also suffer from this problem. Before we proceed to natural solutions and home based solutions for hair fall problem, let's have a look on some basic causes and reasons behind hair fall. However, your hair fall problem can be checked even you can regrow your lost hair simply by following given simple and natural home remedies. First of all you need to make a proper diet plan and you must use food including all nutrients which are essential for proper hair growth. You should use diet rich in proteins, Iron and zinc and try to eat more cereals, green leafy vegetables, fresh fruits, milk products, curd, honey, chicken, nuts, seeds and wheat germ. Try to include Eggs and Fish in your diet plan as it is said to be good for hairs. Take about two teaspoons of cod liver oil on a daily basis. Eating foods rich in B vitamins specially B2, B6, B7, B9 and B12 are very good for hair growth as well as prevents from premature graying hair. Foods rich in B vitamins include dairy products, whole grain breads, cereals, pastas, poultry, meat, eggs and green leafy vegetables. Vitamins A, C and E are a group of powerful antioxidant nutrients. Take foods rich in anti-oxidants for destroying the free radicals which damage the hair cells. Vitamin A rich foods include orange-yellow vegetables and fruits, dairy products and dark leafy green vegetables. Vitamin C is found in abundant forms in blueberries, blackberries, strawberries, raspberries, citrus fruits, potatoes, melons and tomatoes. Vitamin E can be found in leafy green vegetables, beans, nuts and wheat germ. Deficiency of Vitamin D may also cause hair fall. Try to also include Vitamin D in your diet plan. Salmon, fatty fish, cod liver oil, egg yolks, fortified milk and orange juice are good sources of Vitamin D.
Take 1 gram Black pepper and mix with 100 grams of curd and apply this mixture on scalp at least for one hour and then wash your hair and scalp hair with lukewarm water. Apply this method weekly. This simple home remedy is considered very effective to prevent hair fall and helps a lot to regrow lost hair. Rich in Vitamin E and many other important nutrients, Olive oil is one of the best and most effective oil for hair growth. Regular massage with Olive oil will strengthen your locks, stops hair loss and prevents graying of hairs. It is also a natural cure for dandruff. Some people also prefer to add equal quantities of almond or rosemary oils as these oils also have a good repute in hair care. A good combination when employed for hot oil treatments is among most popular hair loss solutions. Coconut milk is also very beneficial in treatment of hair fall problem naturally at home. You can directly massage coconut milk on the scalp to promote hair growth. This can be obtained by grinding fresh coconut and than squeezing it. Mix it with some water that came out from raw coconut. Now slightly warm it and apply to the hairs for an hour or two. You can repeat this process on a daily basis until you get the desired results. An other effective way to prevent hair fall and regrow hair is massaging your scalp with coconut oil. Take some coconut oil and gently massage your scalp. Coconut oil stimulates hair follicles. Leave coconut oil overnight on the head and wash it off in the morning. To prevent the oil stains on your pillow don't forget to wear a shower cap or wrap your hair with an old cloth. Next morning wash your hair with regular mild shampoo. To prevent hair fall and promote healthy hair growth, take 1 tablespoon almond oil, 1 tablespoon of of honey and one egg yolk (whole egg can also be used). Blend them well to make a paste and apply on your scalp and hair. Wear a shower cap or wrap with a towel or any other cotton cloth. Let this paste stay there at least for one hour and then wash your hair by using your regular shampoo. For best results, repeat this at least one per week. Fenugreek is a gift of nature and has been used for centuries in the treatment of various health and beauty problems. To get rid of hair fall problem, dip a hand full of Fenugreek seeds in water and let them soak for 4-5 hours. Now grind them and use this liquid as a shampoo or hair mask. For best results, repeat this twice a week. In addition to stop hair fall, fenugreek softens the hair strands and provides lustre to them. Due to high sulfur contents onion juice is very helpful in treatment of hair fall problem. Massaging your scalp with onion juice not only helps in improvement of blood circulation to the hair follicles but also helps to regenerate hair follicles and reduces scalp inflammation. The antibacterial properties in onion juice also help kill germs and parasites, and treat scalp infections that can cause hair loss. Apply the fresh onion juice directly onto the scalp. Massage for few minutes and leave it on for about 30-45 minutes and then wash it off by using any mild shampoo. Alternatively, a mixture of onion juice, aloe vera gel and olive oil is also very beneficial in getting rid of hair fall problem. Mix together three tablespoons of onion juice, two tablespoons of aloe vera gel and one tablespoon of olive oil. Apply this mixture onto your scalp and massage. Let it stay for about 30-45 minutes and then rinse off and finally wash off using any mild shampoo. A boiled mixture of mustard oil and henna leaves is also considered very effective to stop hair fall. Take about 250 ml of mustard oil in a tin can and add about 60g-70g of washed and dried henna leaves. Now boil the mixture until all the leaves burn entirely. Filter the oil with muslin cloth and store the oil in an airtight bottle or jar. Massage your scalp with this oil on a regular basis until you get the desired results. A mixture of henna, curd and egg white is also very helpful in reducing hair fall problem. Take about 1 tablespoon of dry henna powder, 1 tablespoon of curd and one egg white. Mix all the ingredients to make a smooth paste and then apply this paste on your scalp and hair. Wear a shower cap to avoid cloth stains and leave this paste for about 1 hour. Finally wash your hair using water and mild shampoo. For best results repeat this at least twice per week.